Your Ford vehicle was carefully crafted to perform a certain function, whether it is transporting your family safely or helping you lug those heavy loads around the jobsite, and therefore, it requires special attention. You wouldn’t trust just anybody with your own health, so why allow a random stranger to perform maintenance and repairs on your heavy-duty truck or perform engine repairs? Aside from having the right team to tackle a variety of services, we also provide a comfortable seating area and a knowledgeable staff to answer questions for you. Why Trust Our Service Team for Quality Ford Auto Repair? Our service team is comprised of high-quality transmissions technicians who have been trained to work on your Ford F-250 and beyond. If it’s got the Ford name on it, we know how to repair it. Because our team has been trained on Ford trucks, we are your go-to source for diesel service, especially since you don’t want to trust your Power Stroke® diesel engine with someone who has little to no experience with them. 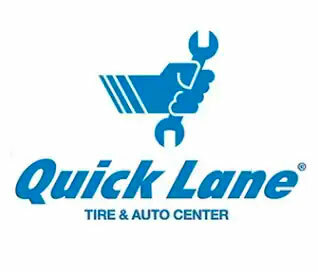 If you’re new to the area, you’ll need a trustworthy place to have your Ohio state inspections taken care of, and we’ve been through the process enough times to make it easier for you and can answer your questions. The latest state-of-the-art tools, several bays to work on multiple vehicles at once to limit wait times, and access to the original manufacturer, meaning we can get the genuine Ford parts that your vehicle needs. You can schedule a service appointment by filling out our online form or by contacting our team via phone. If you’re in the neighborhood and want to say hi to the team and get a look at where your vehicle will receive care before setting up your appointment, stop by and we will show you what we can offer you. If you have just moved to Ohio, you may be excited to get settled into your new home, start your new job, and begin life as a new resident to this great state of ours. Have you given thought to what it will take in order to register your vehicle? As a new Ohio resident, you need to take steps to ensure that your vehicle is in our BMV’s system and is legal to operate. How do you do that? Our dealership is here to help you through it. Bringing your vehicle to Ohio with you means you will need to transfer the title to an Ohio title before you can get license plates. In order to do that, both individuals on the title must be present, all social security numbers are required, and if leasing, you will need a leasing permit number and valid Ohio use tax account number. While this may seem confusing, we can help you through it, or you can reach out to an Ohio BMV employee to discuss what specific items your case requires. If your vehicle requires any repairs or maintenance prior to your registration, consider contact our service team for assistance. We have experience working on a variety of vehicles, and if you are a current owner of a Ford vehicle, our service department is the place to visit. 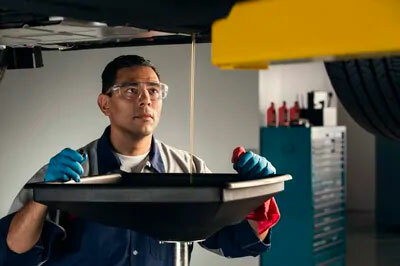 Our technicians have years of experience working on Ford models, so you know you’re going to get the best care. If you have any questions about the process of registering your vehicle in Ohio, contact our team and we will be happy to assist you. Stop by today to learn more.